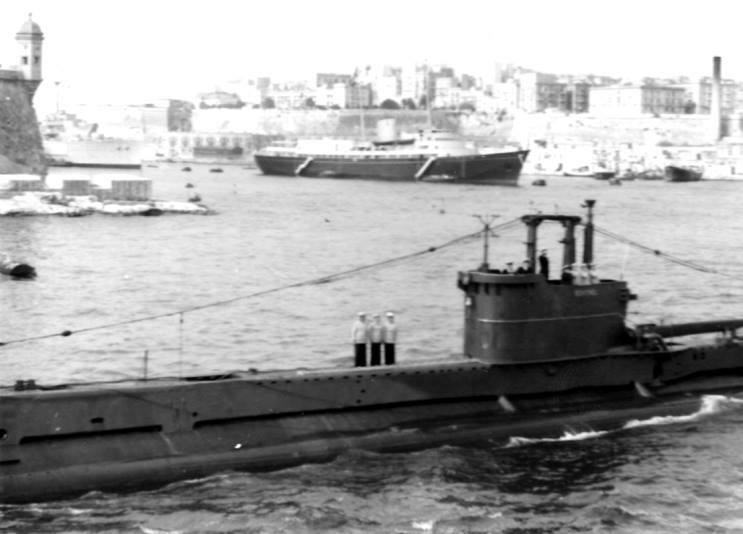 HMS Sentinel S-56 with HMY Britannia seen in the background at Malta in the late 50s. 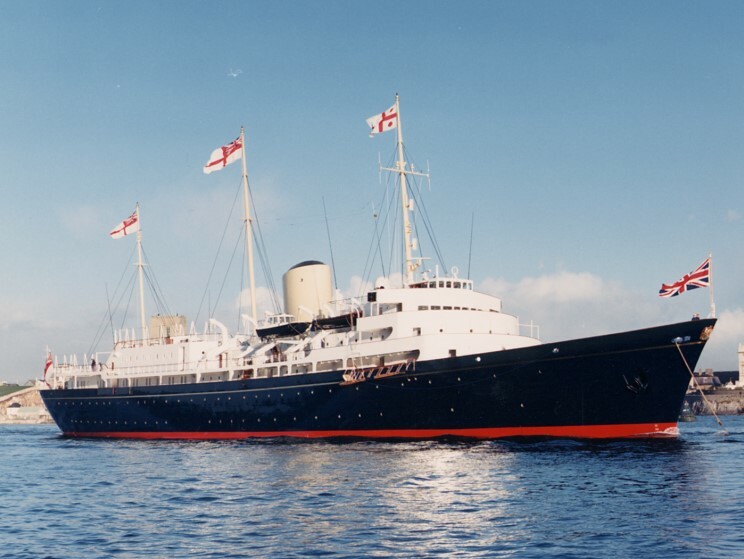 Courtesy of Michael Rainsforth, Jr.
HMY Britannia, date and location unknown. 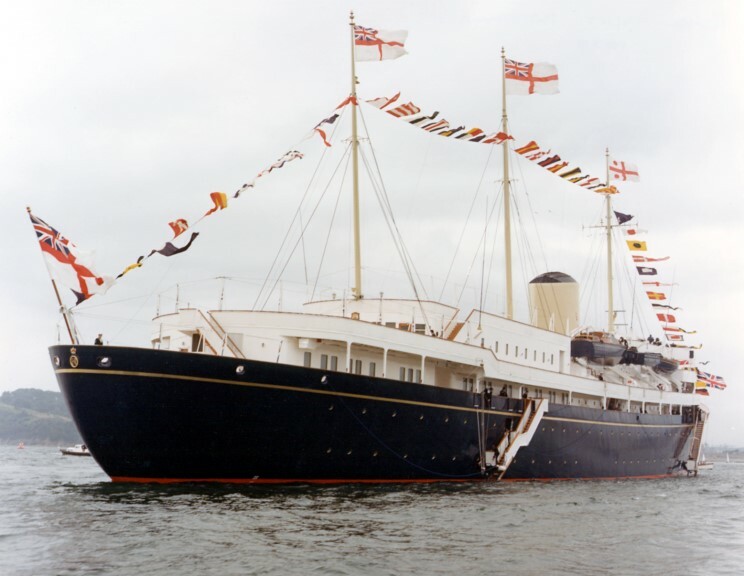 HMY Britannia, date and location not available. 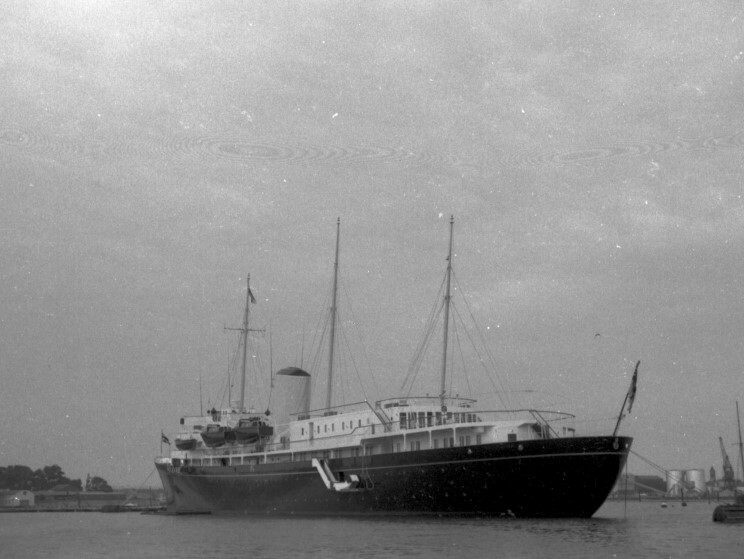 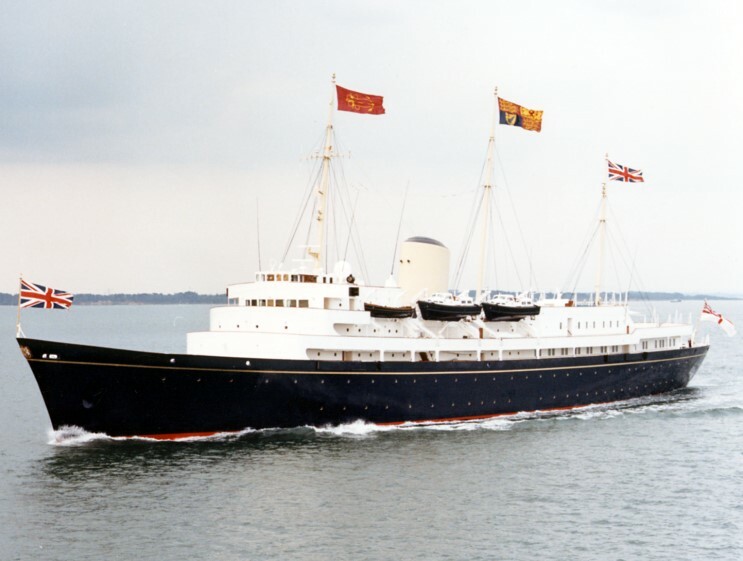 HMY Britannia seen in 1977. 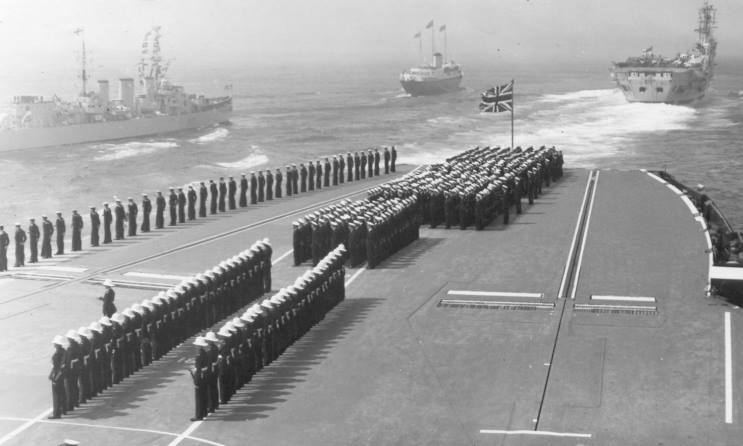 HMY Britannia in company with HMS Apollo M-01 (left), HMS Ark Royal R-09 (right) and HMS Albion R-07. 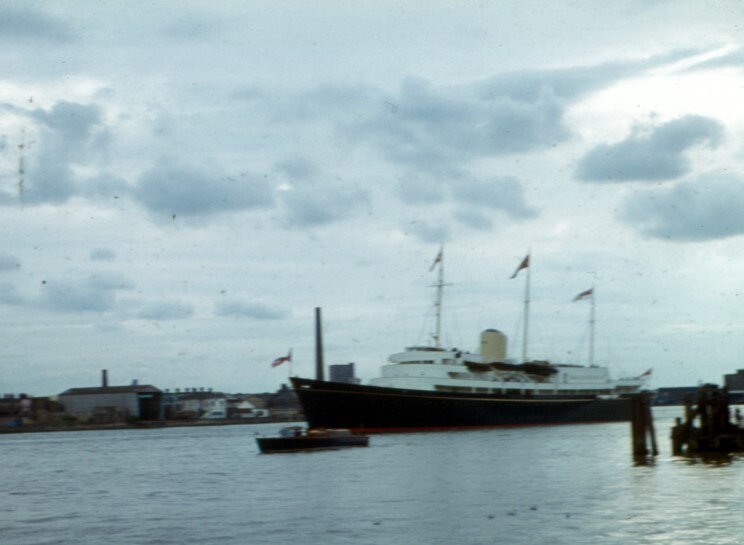 HMY Britannia on the Thames River passing the Royal Navy College in London, England.